A few weeks ago, I stumbled upon a huge natural food sale at our local Target. As many of you know from my Instagram, I took full advantage of this sale and stocked up on everything from my favorite Oatmega Bars, apple chips and chia seeds, to some not so common things like hemp powder. I love learning about natural foods and their benefits, especially when it comes to powders and supplements. I talk a lot about having a balanced diet, but I will admit that being in the gym four days a week and having a relatively active lifestyle outside of it, protein and building muscle is a major priority. I truly believe the more you know, the better/worse you are. And I mean that in the best way possible. The more I've learned about natural supplements and how incredible their ingredients are, the less I want to consume the synthetic stuff. So yes, you are much better off but you're also about to completely revamp your fridge and cabinets! After clearing the shelves at Target, I decided to test out a few recipes with some hemp powder! 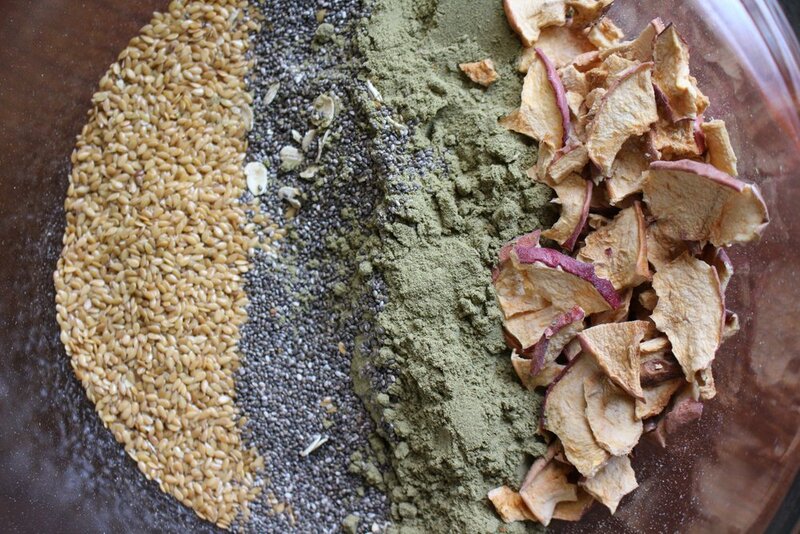 Hemp powder is one of the best natural sources of protein with roughly 15 grams per 1/4 cup. Because of it's subtle nutty taste, many people often add hemp hearts or powder to shakes or recipes for an extra boost of protein. As I always drag Chad along with me through my crazy nutrition adventures, this time has been quite fun for both of us! He has a powerlifting meet coming up in June (woo!) and I know I'm going to need some good snacks to bring along with us. 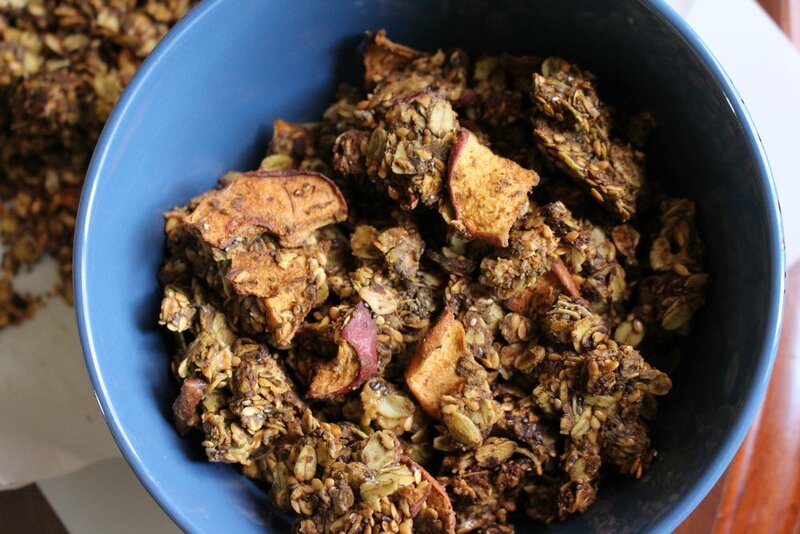 This apple and hemp protein granola is going to be the perfect source of carbs, protein, and energy to get him through the meet-prep and meet. Not to mention getting my nervous self through it as well! Using a 9x9 baking dish, evenly spread out the granola and let it bake for 10-15 minutes at 350ºF. Once cool, crumble and enjoy!